People have different feelings when it comes to the word, KILL. It is a strong word to use. 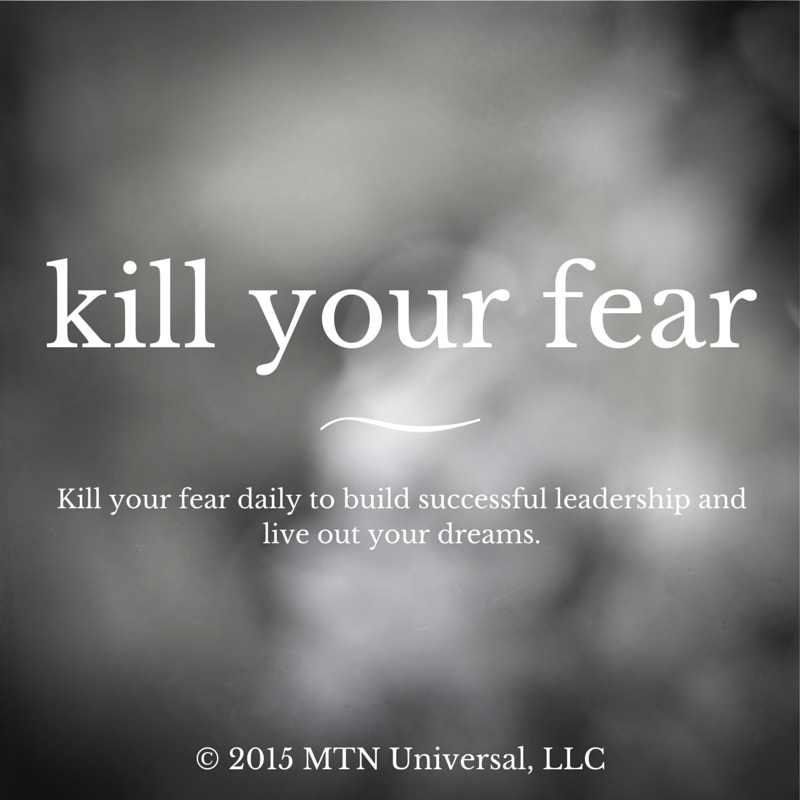 However, when it comes to the building successful leadership and living out your dreams, you must daily kill your fear. Every move our business, MTN Universal, has made to move forward has taken a great level of faith to kill fear primary because of the unexpected/unpredictable. What fears do you have? Have you ever avoided making a decision or taking action with something due to fear? Having a fear/fears doesn’t make you a bad person. It doesn’t make you a “scary” person. It just makes you human. We have to find a way to kill our fears daily because each day will bring its own set of fears. It may not be a fear of dying, public speaking, etc. It could be fear of change. It may be fear of more responsibility. It may be fear of connecting with other leaders. One of the biggest fears for most people is fear of failing. Whatever kind of fear it may be, you have to take these three steps to kill it. 1. Acknowledge your fear. One of the most powerful steps to releasing your mind from any restrictions is acknowledgement of a specific problem. In the case of fear, acting like you have no fear when you are fearful will only give room for your fear to grow. Recognize what is holding you back as a leader and start the process of bringing an abundance of prosperity into your life. 2. Face your fear. When you have recognized what you are fearful of, then you can face it. Don’t run from it, hide from it, or even play with it. Face your fear. This is beneficial for you because it will break you free from any limitation in your life. 3. Fight your fear. In most cases, fear is present because of the absence belief. We fight fear with faith. Hopefully you are attached to a company or people who believe in your vision. One crucial key to success is killing fear by believing in the possibilities for your success. If no one else believes, you should believe. As leaders, it is quite easy to become paralyzed by fear. Everyone has challenges they will face, but leaders have to make tough decisions that affect many people and themselves. Kill your fears by believing. Believe in God. Believe in yourself. Believe in your vision as a leader, whether it is a Fortune 500 company or just a small business. Believe! Believe! Believe! Question: What fears are keeping you from advancing in your personal and business life? Leave your comments below.